Lifetime supplementation with vitamin K, vitamin D3, and calcium is likely to reduce fractures and increase survival in postmenopausal women. It would be a cost-effective intervention at commonly used thresholds, but high uncertainty around the cost-effectiveness estimates persists. Further research on the effect of vitamin K on fractures is warranted. 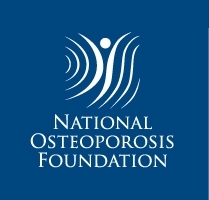 We developed a state-transition probabilistic microsimulation model to quantify the cost-effectiveness of various interventions to prevent fractures in 50-year-old postmenopausal women without osteoporosis. We compared no supplementation, vitamin D3 (800 IU/day) with calcium (1,200 mg/day), and vitamin K2 (45 mg/day) with vitamin D3 and calcium (at the same doses). An additional analysis explored replacing vitamin K2 with vitamin K1 (5 mg/day). 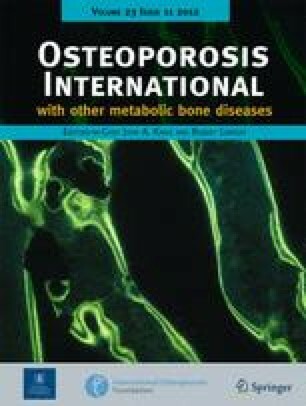 Adding vitamin K2 to vitamin D3 with calcium reduced the lifetime probability of at least one fracture by 25%, increased discounted survival by 0.7 quality-adjusted life-years (QALYs) (95% credible interval (CrI) 0.2; 1.3) and discounted costs by $8,956, yielding an incremental cost-effectiveness ratio (ICER) of $12,268/QALY. At a $50,000/QALY threshold, the probability of cost-effectiveness was 95% and the population expected value of perfect information (EVPI) was $28.9 billion. Adding vitamin K1 to vitamin D and calcium reduced the lifetime probability of at least one fracture by 20%, increased discounted survival by 0.4 QALYs (95% CrI −1.9; 1.4) and discounted costs by $4,014, yielding an ICER of $9,557/QALY. At a $50,000/QALY threshold, the probability of cost-effectiveness was 80% while the EVPI was $414.9 billion. The efficacy of vitamin K was the most important parameter in sensitivity analyses. Lifetime supplementation with vitamin K, vitamin D3, and calcium is likely to reduce fractures and increase survival in postmenopausal women. Given high uncertainty around the cost-effectiveness estimates, further research on the efficacy of vitamin K on fractures is warranted. The online version of this article (doi: 10.1007/s00198-012-1939-4) contains supplementary material, which is available to authorized users. Dr. O. Gajic-Veljanoski is supported by a Canadian Institutes of Health Research (CIHR) Bisby Postdoctoral Fellowship, Dr. A.M. Cheung by a CIHR/Institute of Gender and Health Senior Scientist Award, and Dr. A.M. Bayoumi by a CIHR/Ontario Ministry of Health & Long Term Care Applied Chair in Health Services and Policy Research focusing on Equity in Resource Allocation. This study was performed to fulfill requirements of a PhD degree in Health Policy, Management, and Evaluation (clinical epidemiology field) at the University of Toronto and did not receive any external funding.